The 2015 Six Nations Championship starts on Friday evening with a mouthwatering encounter between Wales and England at the Millennium stadium, a game that many consider will go a long way to deciding the destination of the championship. Here we start by focusing on each team in turn, before moving onto to look at some of the interesting bets you’ll find on the tournament. Last year, after losing a tight opening encounter in Paris, England won the rest of their games and only missed out on the championship on points difference. However, it doesn’t get any easier this time around, facing a fervent Welsh crowd on the opening night of the championship. England can be backed at odds of 17/10 (Stan James) for this encounter, and should they win, they will almost certainly assume outright favouritism. England have a lengthy list of injuries, the late injury to Owen Farrell perhaps being the biggest blow, so it will be interesting to see how the squad players cope. France finished a lowly 4th in the Six Nations last year and the bookmakers expect much of the same this year. This is a team which looks great on paper with some world class talent, but they just can’t seem to get it right on the pitch. In the autumn they looked good in beating Australia but then fell to Argentina, and this sums up the French team. They start with a home game against Scotland and are heavily favoured at odds of 1/4 (Coral), so they should get a morale boosting win on the board early – a defeat and it could be a long couple of months. Ireland are the top ranked northern hemisphere team in the world, having won 9 of their 10 matches in 2014. Having won the Six Nations last year after a gutsy win in Paris, the Irish continued this form with impressive wins over both South Africa and Australia in the autumn. They start with a game in Italy, and are 1/5 with William Hill to continue their winning form – the back to back games against England and Wales in early March will be their pivotal games. One look at their odds show that Italy will not be looking at the top end of the table – avoiding the wooden spoon will be their aim again this year. In 2013 Italy looked like they were making strides when winning 2 of their 5 games, but last year saw them lose every game and autumn losses to South Africa and Argentina see a team very low in confidence. One bright spot for the Azzurri is the fact that they have three home games, but unfortunately for them, Scotland isn’t one of them. However for a shock win over Ireland on the opening weekend you can back them at 5/1 with Sportingbet. Last year Scotland recorded a single victory over the Italians in the Six Nations, however the team will have been lifted by autumn wins over both Tonga and perhaps more importantly Argentina. Like Italy, the Scots have three home games against Wales, Italy and Ireland and it wouldn’t be a massive surprise to see them win more than one of these games. A trip to Paris however is a daunting start to the Six Nations championship – you can back them at 7/2 (Ladbrokes) to gain an unlikely victory. In George North, Leigh Halfpenny and Jamie Roberts the Welsh have three world class players who will look to the lead the team to a successful tournament. Having finished third last year they went into the autumn looking for a good run, but suffered agonising defeats to both Australia and New Zealand, although did finish with a win over the Springboks. Wales only have two home games this year, but they are against England and Ireland, and winning both of these will see them go very close – the game in Paris will also be key. They can be backed at 1/2 at Stan James to beat England in the opening game. One of the most interesting bets is whether a team can win the Grand Slam – Ireland and England can be backed to do this at 6/1 with the Welsh at 7/1. The Wooden Spoon looks a straight race between Italy and Scotland, the Italians hot favourites at 1/3. The top tryscorer market is always interesting and George North is the early favourite at 13/2. 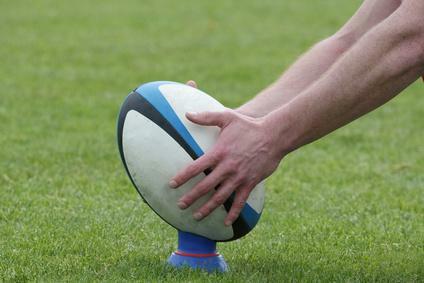 Being World Cup year, a number of firms are offering a double on both the Six Nations and the World Cup. England can be backed at 11/1 to win it all this year, Ireland at 25/1 and Wales at 66/1. For the best choice of Rugby bets at the best odds the Uk licensed Coral Bet is an easy top choice. Check out their bets today, and add that edge of excitement to the games which only comes when you have a bet. See www.coral.com for the latest special offers.